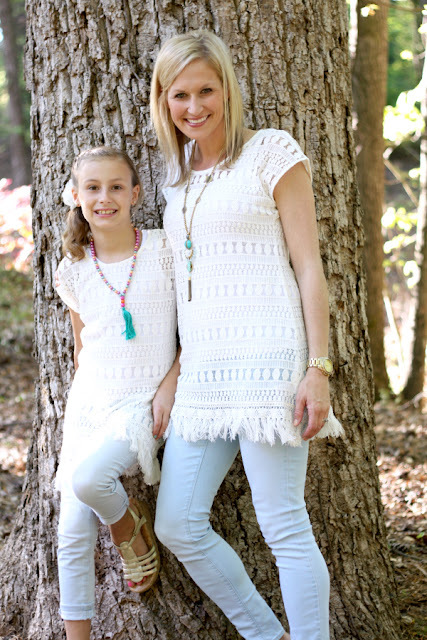 A few weeks ago I got the opportunity to try the Stella and Dot Mommy and Me tunics and they are so adorable. An off-white lace tunic with fringe around the bottom make these perfect as swim coverups or you can wear them with jeans or leggings and a tank under for everyday wear. I think we'll wear them with jeans or leggings in spring and fall and as swim coverups in the summer. 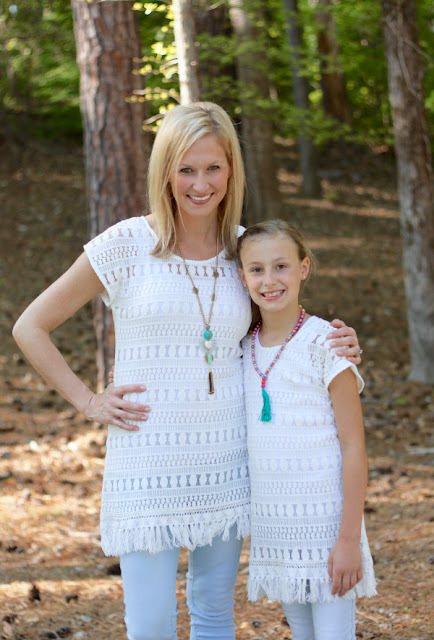 If you'd like to win these tunics for you and your special girl, along with some other really fantastic prizes for Mother's Day, head to Savvy Sassy Moms for their Mother's Day 2016 Gift Guide and Giveaway. They are giving away some wonderful prizes and the winner will receive a gift package totaling over $1200!!! If you don't win and would like to get some tunics for you and your girl you can get them from Stella and Dot. Women's are HERE. For size reference I'm wearing the XS/S and found it was plenty roomy enough. The girls tunic, HERE, comes in one size that says it fits girls 6-10. Little Mama wears an 8/10 and this fit her perfectly. While I was checking out the Stella and Dot site for sizing info on the tunic I took a look at some of the other goodies they had to offer. I have been looking for some new gold hoop earrings and LOVED the ones they had. I have worn out my current pair (from Target) and I'm sure these would be so much nicer. I also loved they they were just a little different than plain hoops. Aren't they pretty?!?! I also really loved these bracelets and necklaces, too. That anchor bracelet is calling my name for summer and the pink and gold one would match pretty much my whole wardrobe for spring/summer! Do you love Stella and Dot? What are your favorites? Where did you get the tassel necklaces? SO cute!! 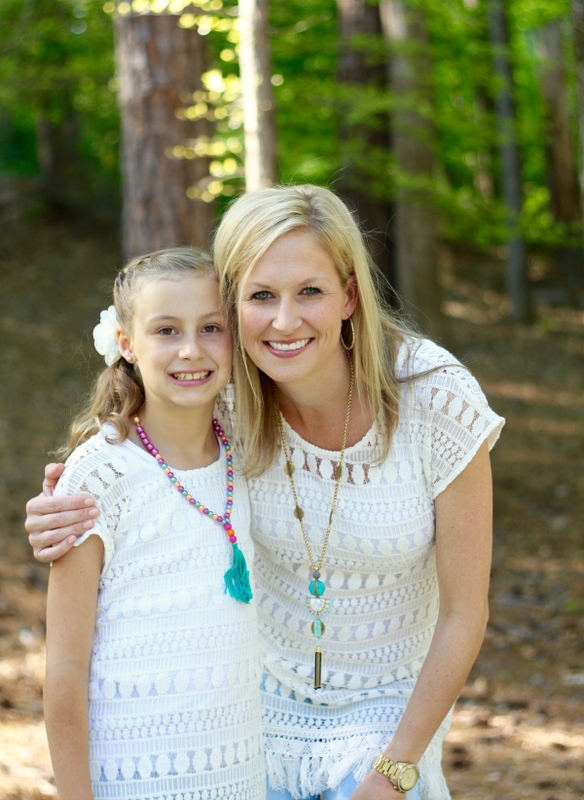 My necklace is actually from Stella and Dot, but my daughter made hers! Isn't it cute? She did it using the same technique I shared in the tutorial here on the blog. I still wear mine all the time and get so many complements on it!